Eventually we settled on Kumay in the Chi Herculius system. In order to keep track of various forum posts containing screenshots, descriptions, etc of the various route waypoints I've now created the following index. 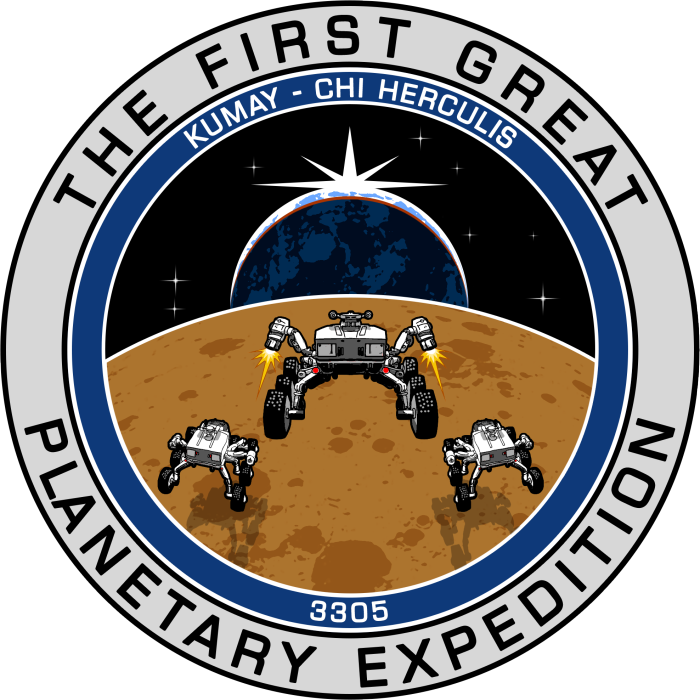 Now, with a vague route in mind which follows a series of waypoints including human settlements, geological POI's, the North and South poles and a whole host of hand picked landmarks, we can finally announce that the First Great Planetary Expedition is ready to depart! The start date for this is currently planned for Wednesday 27th March, departing Bridger Town planetary base at around 20:00 UTC. I dare say people will be congregating earlier than that and we have a racetrack around the central Bridger buldings to keep us occupied. The idea behind The First Great Planetary Expedition is that it's a group exploration expedition in the grand tradition of things like Distant Worlds, but instead of jumping and honking our way around the galaxy in ships, we'll be driving around our chosen moon in SRV's. There will be grand vistas to admire, challenging terrain to be overcome, mountains to be scaled, vast deserts to be crossed and strong bonds of friendship to be forged. The ever present Earthlike world of Apasam (around which the moon orbits at a distance of something like 15,000km) will provide a constant spectacle in the sky and, with an orbital period of just 0.2 days and constant solar eclipses, the ever changing lighting conditions will ensure that no two places on this extraordinary world will ever look the same. We'll be covering a distance of somewhere between 4000km and 5000km on our journey and, although it's very hard to predict at this stage, I would estimate that this will take somewhere around a month to complete. 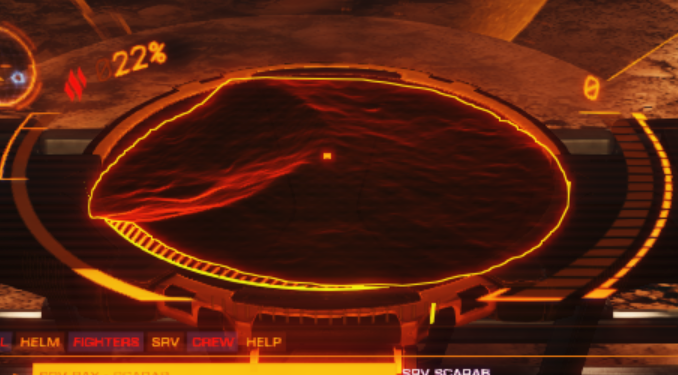 I won't lie, it's going to be a tough challenge which will require a certain amount of proficiency in the SRV to complete but we have some extremely experienced drivers along for the ride who will be there to provide guidance and I guarantee that you will finish the journey a better driver than when you started and will have many extraordinary experiences along the way. With a few weeks between now and when the expedition sets off what can we do to prepare for this? 1) Fly to Kumay in a ship fitted with a DSS, probe the planet's surface and get that surface POI data permanently logged in your Navigation panel by handing it in at a nearby Stellar Cartographics contact. 2) Gather materials. You needs as much Iron and Nickel (for repair synthesis) and Sulphur and Phosphorous (for refuel synthesis) as you can get. 3) Practice your SRV driving. You really ought to be aiming to be able to maintain a constant 40m/s along the ground (by bouncing into the air, tilting forwards slightly and boosting). While I don't plan on leaving anyone behind if it can possibly be helped, I think you'll have a lot more fun if you can comfortably travel at those sort of speeds. Read the Sagittarius Eye magazine article referenced in the FAQ below and start practicing! 4) Decide on a ship and get it to Kumay. Now yes, this is an SRV expedition but you may still wish to recall your ship at certain points (e.g. to repair or to switch to a different SRV or because you're stuck on a mountain and need rescue). Basic things to consider are: a) can it carry several spare SRV's, b) can it land in fairly rough terrain, c) in a real emergency how easy is it to get up onto its back? 5) Continue scouting the route. Although we now have a pretty good idea of our route there are still a lot of blanks to be filled in along the way so try flying between some of those waypoints along the route marked on the 3D map and, if you find anything you think would make a great place to visit, photograph it, create an entry for it at the bottom of this spreadsheet and let us know about it on the Discord #kumay-route-plotting channel. 6) Clear all your fines and bounties. After an unfortunate incident at the O'Donnell settlement we learned the hard way that it's very easy to forget you have outstanding bounties which can turn these settlements (and the local Federal defence force) against you. Luckily we have had an Interstellar Factors right here in the system at Gemar Orbital so please go and pay off those bounties before we start! 7) Decide exactly which paintjobs, decals and COVAS voices you want to have fitted to your SRV's - you're going to be stuck with them for quite a long time! Q) Is it too late to join? A) Absolutely not. Sign up is fairly informal - just post your intention to come along in this thread and/or pop into our Discord and say hi and then add your details to the expedition rosta over here. Q) Is this PC only? A) Absolutely not. That said, at the time of writing we only have 2 XBOX commanders and 1 PS4 commander signed up. This does mean that you may miss out on being able to share parts of your journey by physically driving alongside other commanders but you'll still be able to join us in voice comm's on Discord and share in the experience that way. Q) Will we be driving alongside each other? A) Yes - some of the time. My basic plan is that we'll meet up at major waypoints (including the start and finish) and head out from those waypoints together. At other times you may well log in and find yourself travelling alone (which can be really nice and is a good opportunity to make some time). I would however strongly recommend that people reach out to their fellow explorers, send in-game friend requests to each other and try hook up with people you see appear in your comms notifications, driving stretches of this journey together in small groups of two or three. Having done a little bit of this during the scouting phase I can say that's it's enormous fun ... driving along, pointing out interesting features to each other, suggesting alternative routes, and generally just chatting about stuff will really add to the experience. A) The best I can advise is that you read my "Mastering your SRV" article, published in issue #17 of Sagittarius Eye magazine. 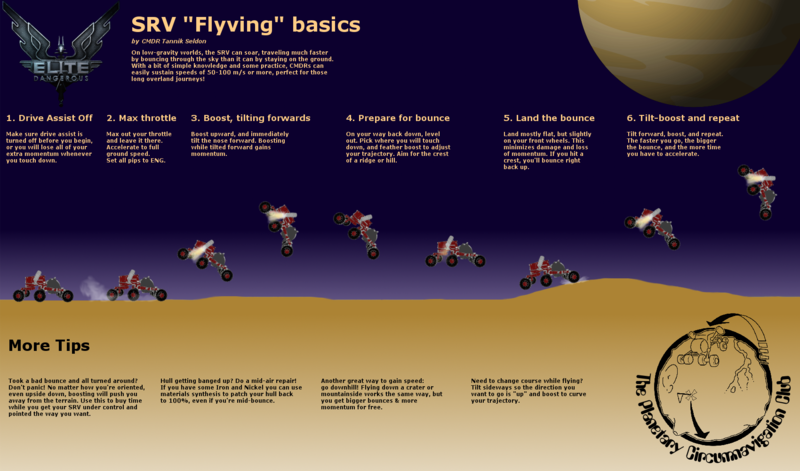 SushiCW has also produced this terrific infographic on the basics of SRV "flyving". Q) What happens if we die? A) The bottom line is that that's entirely up to you. I won't be disqualifying anyone from the circumnavigation if they blow up their SRV. Some people will no doubt play it fairly Iron Man and attempt to limit themselves (if at all possible) to using a single SRV for the entire journey and never once recalling their ship. Others will probably just try to stick to the SRV's carried in their ship, recalling it and reboarding as required (for repairs or just to have a shower and a good night's sleep). A few may even leave the planet to do other things and just return to join in some of the waypoint activities (although I hope not too many of the latter - this is meant to be an immersive experience). Q) Is refuel and repair synthesis allowed? A) Allowed? I'd say it's essential so yes! On a journey of this scale you will definitely need to repair frequently. 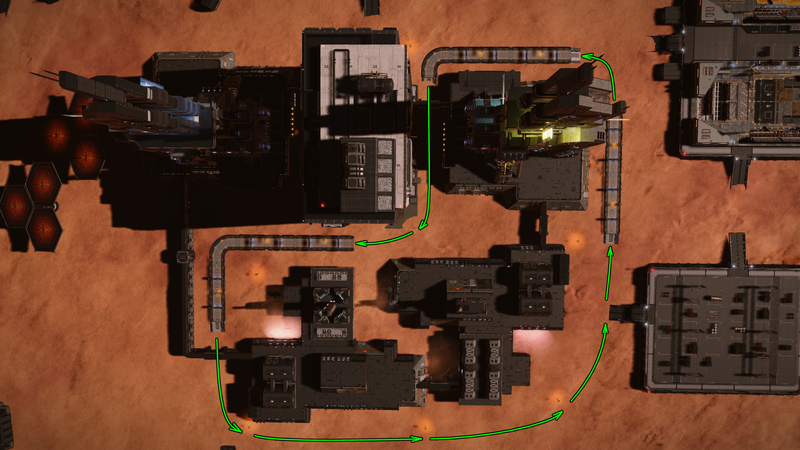 This can be done by recalling and boarding you ship but it's far easier to use repair synthesis on the go (make sure you have lots of Iron and Nickel stored up, although these materials can also be farmed during the expedition). We will also need numerous refuels along the 4000km journey. Since rejoining your ship does NOT refuel the SRV you will definitely need synthesis for this (Sulphur and Phosphorous for the basic recipe). Q) I think you mentioned "events" somewhere - have you got any activies planned. A) Yes - we have a few ideas (see the #side-activities channel on the Discord). I suspect we may run some races around Bridger Town before we start (and/or maybe at the finish) and I also have a cunning "hide and seek" game planned for when we get to the O'Donnell Settlement. There's also a ramp jumping challenge at O'Donnell as well as a few canyon jumping challenges. I'll probably run a screenshot of the day/week/month competition and I dare say a few others ideas will occur to me along the way. Q) I'm terrible at surface navigation, how do I find my way to the next waypoint? A) Many of our waypoints will be numbered geological POI's which can be targeted in the Navigation panel but otherwise keep referring to the 3D map mentioned above and remember that a heading of 0� is due North, straight up that map. 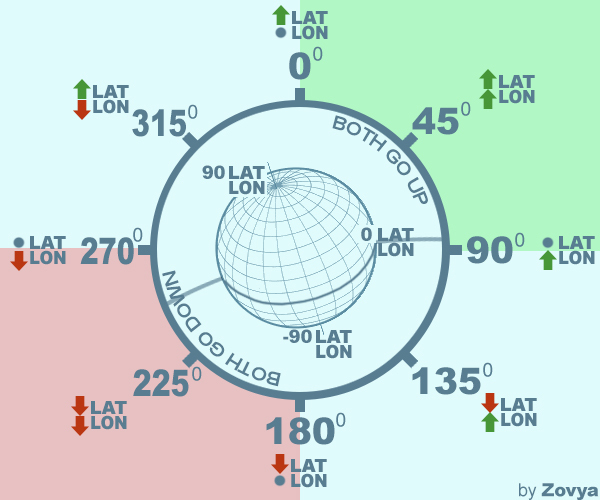 You may also find the following diagram useful in keeping track of which heading you should take in order to make your coordinates change in the direction you want. - Keep 4 pips to engines at pretty much all times (unless farming materials or in a combat situation). - To conserve fuel turn off all unused modules (including shields and power distributor). Note that doing this will probably cause ice crystals to form on your windscreen. You may find these beautiful or you may find they obstruct your view (personally I'm in the former camp). - At the start of each session try to remember to pre-select repair synthesis from the right hand panel before you start rolling. That way it will be right there when you need it and save you desperately floundering around in that panel when the last 2% of your hull is sailing down towards an immovable rock. - Make sure to have both Lights and Nightvision bound to controls you have easy access to. The lighting conditions change FAST on this world and you can often find yourself falling into a pitch black crater where a minute ago you were in bright sunlight. - Try to remember your current heading at all times so that you don't lose your sense of direction after a spin or tumble. This is especially important when heading into mountainous terrain where it's easy to lose sight of visual references and end up hopelessly lost. 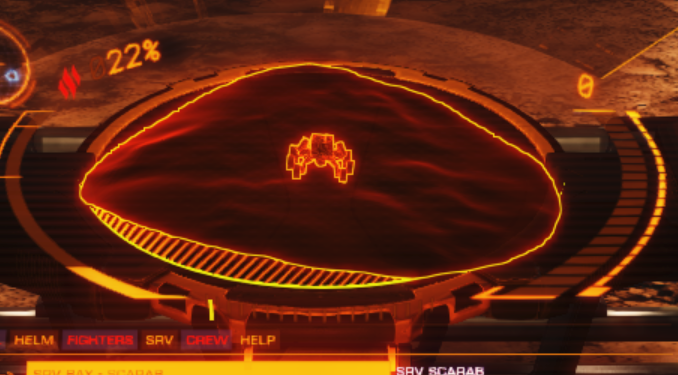 - When driving with someone else it's a good idea to keep them targeted so you can see where they are, how far away they are and what orientation and condition their SRV is in. Warn them if their hull falls below 50%, they may not have noticed. 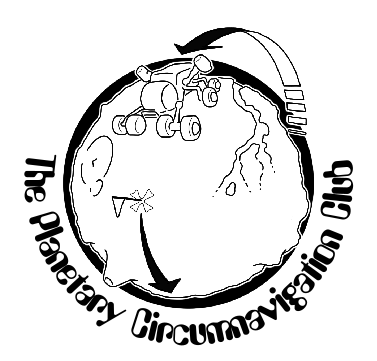 Also - there are further hints, tips and other bits of suggested reading for the planetary circumnavigator over in the Planetary Circumnavigation Club's official forum thread. Click the following logo to go there then scroll down towards the bottom. Witchspace News - Elite Dangerous: for the 1st of March 2019. 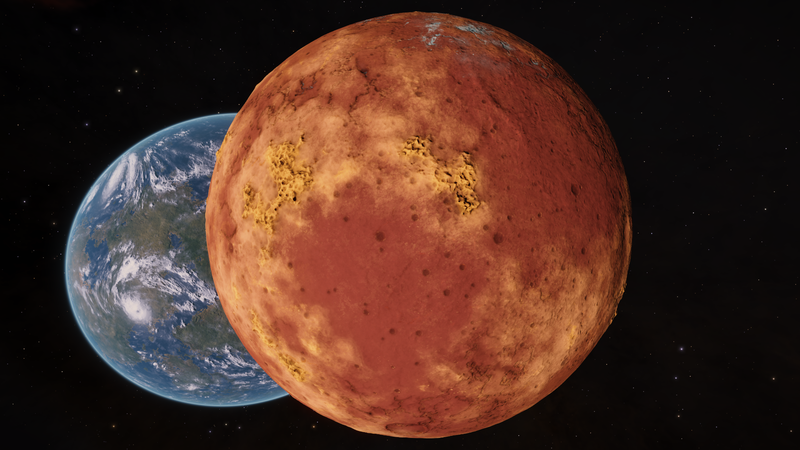 Cmdr Buur's excellent news series (which everyone should subscribe to by the way) with a nice little introduction to the First Great Planetary Expedition. I'm also delighted to say that Cmdr Buur and partner/camera operator Cmdr Rheeney will be following the expedition and hopefully providing some wonderful footage of our exploits. Sagittarius Eye: Breaking News - Planning is now well underway for the first great planetary expedition.